I am ecstatic! 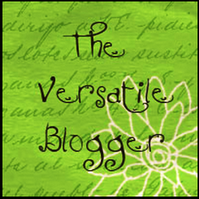 Thanks to Meenakshi of Justmadstuff.wordpress.com who nominated me for the Versatile Blogger award. 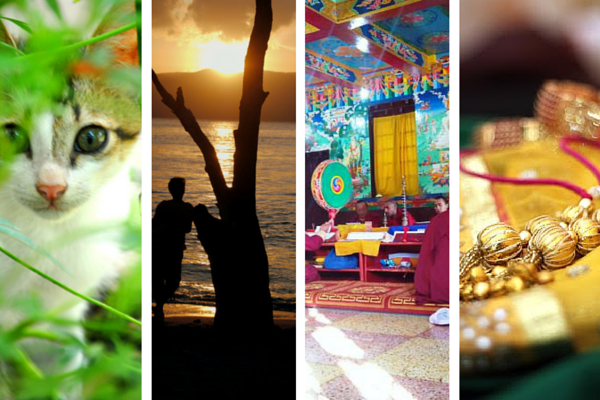 She has some amazing photos, especially of day-to-day life in India, so do check that! Meanwhile, please refer to the previous Red Carpet post to know 7 things about me (I have listed 10 there, so take your pick)! Forgive me Meenakshi for not going through the entire process, I am still recovering from the last one 😛 Good luck and thank you! It was a chilly Thursday night and I was holed up in a tiny tent with Captain Sa’ab with nothing but a double blanket and an emergency lamp. I checked my phone, which had 4% battery left and I longed for the day when camping tents would come with a phone charging point. That was my first night in Captain Sa’ab’s Unit after we got married. We were allotted a guest room during the day, but we returned after dinner to find that it was locked. Captain Sa’ab muttered under his breath, “I was expecting something like this,” when his junior came and told us that our arrangements for the night were made in that tent in the Mess’ garden. Though you will notice that I have been blogging since April 2013, I actually started taking it seriously just a couple of months ago. And what an experience it has been! Fellow blogger Annet Bell, who wrote some amazing stories about her time in India in talesalongtheway.wordpress.com, nominated me for two awards a couple of days back. I read through the rules (quite excitedly I must confess), and realised I don’t get a trophy or a figurine! Hmmm.. now that’s a bummer, as I spent the first 30 seconds after reading that post thinking of places where I could display it! Stupid Anamika! 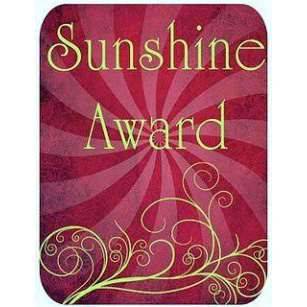 Section 1: Directions for you to accept the Sunshine Award and 1-4 for the Inner Peace Award. Announce your win with a post and thank the Blogger who awarded you. Link your nominees in the post and let them know of their award with a comment. Write 10 interesting things about yourself. 1. I live in Dehradun (India) and find it too cold. 2. Which is why I can’t stop sneezing. 4. I am allergic to cats’ fur 😦 . 5. Which is another reason why I can’t stop sneezing. 7. Cookery, travel and sitcoms are my fav shows. 8. I love maggi noodles (very very popular in India, not with moms though). 9. I can sleep for hours, even if I am not exhausted. 10. I am very very lazy… but you probably got that by point no.9 :). Section 1a: Directions for you to accept the “Inner Peace” Award + 1-4 above. 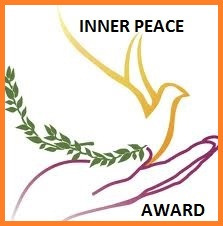 The only “rule” for the Inner Peace Award is that you write a short piece on why you are accepting it. I am giving each of you the choice of one or the other of these awards , or both as you decide. Nominate 3- 10 nominees as examples of Inner Peace. Warning… if you do accept this award, there goes one hour of your time in writing this acceptance post. Pretty much like the never ending thank you speech after Oscars. 🙂 Cheers! Hindustan Times, August 27, 2012: Aah.. this is an epic one, which happened when I was working in Hindustan Times (no I was not responsible for this one :D). “A tribute to Neil Armstrong, first man on the man”… Now that’s something they don’t mention in school textbooks. The person doing this page was probably preoccupied by something (or someone) else, but we did thank him/her the other day for making us laugh, as my department was still recovering from the post-Olympics hoopla. A journalist by profession. A daydreamer by passion. An Army wife. Allergic to anything devoid of nautanki. Conditions apply. As Dazzling As It Gets — the world of 3D printed gold jewelry by Zinarya!